If devotion to truth is the hallmark of morality, then there is no greater, nobler, more heroic form of devotion than the act of a man who assumes the responsibility of thinking...the alleged short-cut to knowledge, which is faith, is only a short-circuit destroying the mind. The most depraved type of being is that without purpose. Until and unless you discover that money is the root of all good, you ask for your own destruction. When money ceases to become the means by which men deal with one another, then men become the tools of other men. Blood, whips and guns--or dollars. Take your choice--there is no other. Pride is the recognition of the fact that you are your own highest value and, like all of man's values, it has to be earned. A city building, you experience when you walk; a suburban building, you experience when you drive. 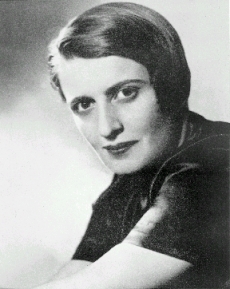 21 quotes by Ayn Rand.